For a show that revels in them, it is perhaps surprising that there haven't been as many books dedicated about the monsters of Doctor Who as one might expect. In the past, 'oldies' amongst us can look fondly upon our battered copies of the 1970s The Doctor Who Monster Book from Uncle Terrance, or more recently with 2005's Monsters and Villains by Justin Richards, but with several more years of 'monstrous' adventures to explore here we are presenting with a new tome from Graham Sleight. This book takes a new look at the monsters and asks what inspired them and lies behind them. Why are we so scared of monsters? Why so they look and act the way they do? How do they reflect the time and place that the series is broadcast in? Such a description immediately conjures up an image of in-depth analyses of monsters and their environment, and how contemporary socio-political influences affected the way in which they were realised - fortunately, we don't have to worry about the redundancy of auxiliary performance codes, however, as Sleight presents his arguments in clear, concise prose, and in a reader-friendly manner. On opening the book, the first thing you notice is what appears to be a very strange ordering of monsters within the Contents. The Autons ... check ... The Weeping Angels ... check ... Kroll ... erm, okay ... The Primords ... pardon ... The Borad ... WTF? There is method in Sleight's madness, of course, as his intention is to show how the different monsters relate to one another. 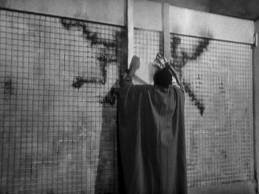 Thus, Kroll in couched within terms of its being a force of nature like the Angels; after the Primords, the Borad is compared with Stahlman from their story in a "Faustian overreacher" role. The next chapter deals with the Axons and a theme of beauty and ugliness formulated from Timelash. And so on. Building an ongoing narrative between chapters is a great idea, but is hard to maintain, becoming absent in a number of chapters later in the book. All the big-bads are there of course, with the two major monsters split into 'eras' (four for the Daleks and three for the Cybermen). The coverage does seem a little 'random' at times (eg. the Mandrells), but as Sleight points out, the book can't be completely comprehensive and everybody has their favourites that might not be covered (what, no Zygons?!!). However, there is a handy Glossary at the back that does provide a brief A-Z of monsters in the show. I also found that the story synopses tended to be quite lengthy; whilst I can appreciate that some readers may not be familiar with the stories in question, such information is readily available elsewhere so a simple summary would suffice and we can get into the monster nitty-gritty. There was also a tendency to slip into 'series politics' which obscured the monstrous discussion that I actually expected. This reached its nadir in "The Cybermen II", which concerned itself more with why the Cybermen stories epitomised what was wrong with eighties rather than the creatures themselves - indeed, with Attack of the Cybermen I thought the depictions of how the Cyber-conversion process depersonalised humanity and the mental affects of partial conversion had on the Telos workforce would be more worthy of exploration than the interminable debate over who actually wrote the story! However, in many ways I found the book a little too light for my tastes, and for me it was hard to judge who was the intended audience for the book. It clearly isn't for children or the casual reader, but neither is it for those fans who love to delve into heady intellectual debate or critique. Instead, the chapters tended to paint broad strokes over the various monsters covered, and I often wondered what point was being made. All the standard themes are covered, so oil-drilling in the North Sea is debated for Inferno, the European Union and Miner's Strikes in for Peladon, etc. and falls firmly into same style of related non-fiction from IB Tauris (like Booy's Love and Monsters published earlier this year). As you might expect from SF luminary Stephen Baxter, one of the great strengths of this novel is its vivid creation of worlds and environments. The Wheel – a mining operation out at Saturn – and its frontier society are sharply delineated. Saturn’s rings also become a key part of the narrative, and Baxter has fun extrapolating from technologies such as “matter printing” and waste recyling. Overall, there’s a sense of vastness to this Doctor Who story, and not just because it deals with our solar system, but also thanks to the way it covers an epic sweep of time, going all the way back to the ‘Silurian’ era of Earth’s history. Appropriate Who technologies are also drawn upon, as Baxter deftly works in some crucial T-Mat action. The Doctor’s previous adventures are seen to have unintended consequences and unexpected outcomes over time, bringing them into the panoramic vista of Stephen Baxter’s work. Even UNIT get a few important mentions. But perhaps this publication will always be remembered as a double event: firstly, it’s the return of ‘Past Doctor Adventures’ given that it features the second Doctor, Jamie and Zoe, and secondly it’s another novel that, like The Coming of the Terraphiles, brings a “name” SF author to the franchise. And whilst it certainly carries those historical lures for the reader, reducing The Wheel of Ice to milestones or markers does the book a bit of a disservice. Baxter’s affection for the show’s lead characters shines through, and he cleverly makes use of Zoe’s eidetic memory, for example, as well as finding a crafty way of making the artificial intelligence/service robot MMAC relevant to Jamie’s sense of identity. Furthermore, Zoe’s experiences from ‘The Wheel in Space’ and ‘The Mind Robber’ are variously tapped into, and Baxter exploits the gaps in her life experience when she’s confronted with a set of tasks that logic and scientific training can’t quite prepare her for. Both McCrimmon and Heriot are very well served throughout, without their subplots feeling too forced or too overly designed for them. Baxter intersperses his linear adventure with “Interludes” which focus on different characters’ points of view and fill in moments of back story. For me, these were some of the most intriguing sequences of the novel, allowing Baxter to flashback through history (and weave in some great continuity references to Tom Baker and Peter Davison TV stories). One interlude offers a wonderful few pages tackling the emergence of consciousness itself: there’s no shortage of ambition to these set pieces, and their literary tangents greatly enrich the whole. 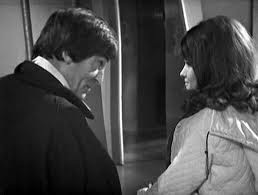 If Jamie and Zoe get plenty to do, then what of the second Doctor himself? 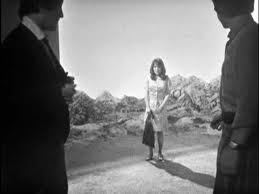 On the whole, Troughton’s incarnation breezes playfully through situations, although sometimes he displays an angst which seems more in keeping with the parameters of ‘new Who’. 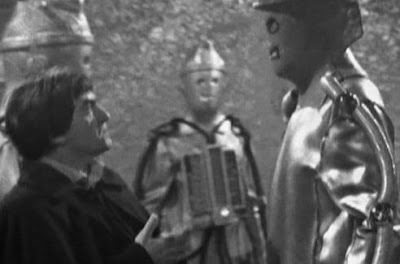 He almost seems affronted to have encountered a mind bigger than his own, and the story’s eventual resolution calls for greater commitment than even a Time Lord can offer. Baxter preserves the Doctor’s essential mystery, but shows how his perspective on events differs crucially from all those around him, particularly when it comes to trying to communicate with alien artefacts or races. In fact, communication emerges as a major theme. The Doctor is keen to speak to the strange blue beings who threaten the Wheel’s human colonists, and the entity known in Gallifreyan libraries as ‘Arkive’ is also seeking to communicate with others from its past. And even MMAC, the ‘cute robot’ character, unexpectedly discovers the value of communication. For all its ‘harder-than-usual’ SF stylings, epic scale, and scientific learning, The Wheel of Ice turns out to be about the emotional importance of being in touch. It may seem a rather cerebral read at times, but the head and the heart are both firmly and poetically in play here. The book’s cover announces: “Resilience. Remembrance. Resolution. Whatever the cost.” Yet curiously the three words ritualistically recounted by the protagonist facing the Doctor are given as “Resilience. Remembrance. Restoration” as soon as one actually starts reading. In fact, these are the opening three words of the Prologue on page seven, and so can hardly be taken to constitute huge spoilers. Quite why “Restoration” has been substituted for “Resolution” remains unclear, especially as the latter doesn’t seem any more threatening or dramatic as a piece of book jacket self-promotion. Given Baxter’s final flourish – a tribute to the always ongoing narratives of Doctor Who – I hope we hear more from him and this TARDIS crew. In short, this is a beautiful, artful novel that knowingly throws its characters into a range of scenarios which 1960s' television drama could never have brought to the screen. I found myself thinking more than a few times, “Jamie just did what?” Transcending TV budgets and special effects, The Wheel of Ice generates a true sense of wonder at the marvels of the universe, and the treasures of the Whoniverse. Hard to imagine now of course, but us midling-youngsters of the early eighties were well and truly Pertwee-starved, relying on dim and distant memories of the elegant Third Doctor, and of course the ever-increasing chronicles recorded by Target. Then JNT became a hero by bringing three full adventures to our screens! 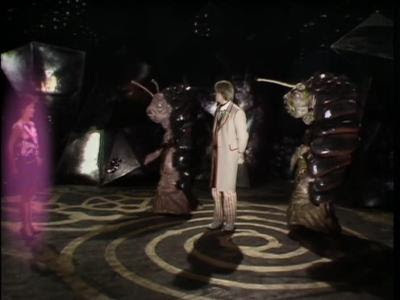 After the previous Five Faces outings for The Three Doctors and Carnival of Monsters, over the summer of 1982 we were then treated to a monster cornucopia in the form of The Curse of Peladon. 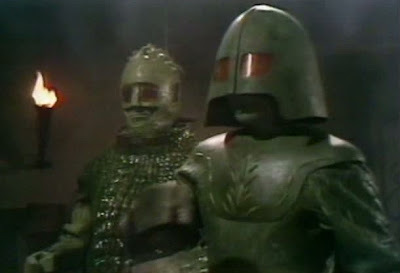 In the Black Scrolls of Fandom this story is categorised as "an Ice Warrior story", which - though of course being true - does do an injustice to the other memorable alien races we meet on Peladon. We have the Peladonians themselves with their distinctive hair styles (maybe the Golgafrinchans stopped off here at some point! ), the big shaggy beastie Aggedor, the shrill-voiced, green-skinned, semi-phallic hermaphrodite hexapod delegate from Alpha Centauri, and the downright disturbing delegate from Arcturus. Having no memory of the story on original broadcast I had only my battered Target version of events to go by, and whilst Aggedor was perhaps a little more cuddly than intended (he worked well in the shadows), and Centauri overly 'feminine', Arcturus was just as creepy as his literary counterpart - the production team had a field day on that creation! Perhaps the only let-down was his laser weapon, which suffered from its seventies effects legacy (oh no, the red blob of doom again!). It was my first remembered experience with the Martians, too, and they perhaps didn't come across as huge and looming as I had been led to believe. 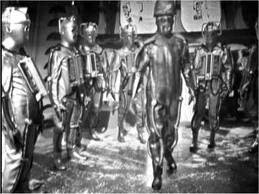 Having seen The Ice Warriors and The Seeds of Death now I can fully appreciate this image of them, but unfortunately the rather taller cast here kind of dilluted their presence a bit. Plus of course there's the twist in which they turn out to be goodies rather than baddies this time around, though the Doctor was still able to instill a sense of threat about them when relating his previous experiences, and Izlyr or Ssorg can still be intimidating in spite of their relative heights! 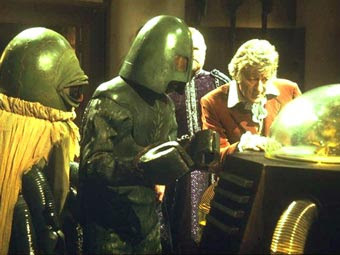 "The ancient Curse of Peladon will be fulfilled"
The story itself could almost be a Shakespearian play in its opening moment, with the array of characters paraded in front of us and their roles ascertained, through it soon settles down into the more traditional sci-fi trappings of a Doctor Who story. 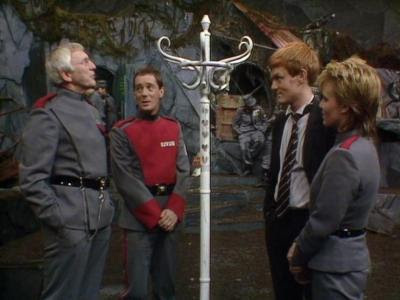 Torbis and Hepesh sound it off in front of their young King, and then the former apparently falls foul of the "curse" as a sign of displeasure of the mythical beast of Peladon over the decision to join the Federation. Here the "mistaken identity" strategy is used to introduce the Doctor and Jo to events, and it doesn't take long to see how the pretty Earth 'princess' has caught the eye of the King (who seems to quickly forget that she was meant to be on a date with Mike Yates - as Katy says on the commentary, "there's something about a prince that is irresistable!"). Then the Martian delegates turn and up the next couple of episodes are spent trying to convince us (and the Doctor) that they are the good guys, only to turn out that they actually are, hoorah! The real villains turn out to be Arcturus in league with Hepesh, and the ensuing revolution looks set to be victorious until the Doctor turns up proving the mythical Aggedor beasts are real, and its representative in the Citadel promptly shows its displeasure on its 'master' Hepesh. Hmm, actually it could have been written by Shakespeare after all! Lennie Mayne's directorial debut for the series provides us with a competent traversal through the script, ably maintaining the journey through the layers of intrigue and no dud casting to be seen (or under costume!). David Troughton handles his first leading role well, and Gordon Stothard continues to excel in his non-speaking roles, this time visible on-screen as the mute champion Grun (strangely with a name-change as if the actor didn't want people to realise it was him! ); plus with barely a minute on-screen Wendy Danvers makes her formidable presence known as the real Earth delegate Amazonia, who had she arrived when she was supposed to might well have been able to take on Izlyr, Hepesh and Aggedor on her own with the fierceness on display! The sets are well-designed, too, with the mountainous slopes of Peladon superbly realised at Ealing, seamlessly integrating with the excellent modelwork as the TARDIS seemingly plummets to its destruction early on. 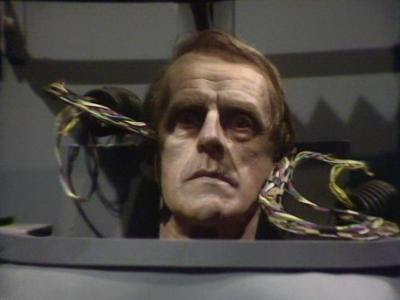 Stunt-work is also excellent, but you can still play the "see Terry Walsh as the Doctor" drinking game and have a good chance to get sloshed [and of course the Uncle Terry commentary drinking rules might well send you into a stupor at around 22:55 into episode one :)]. 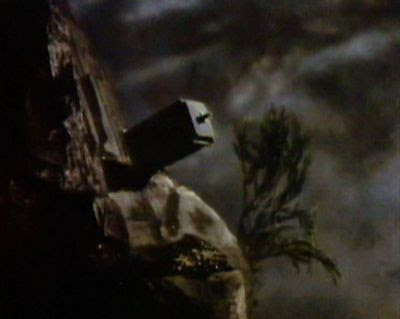 The story has some notable firsts and lasts: it's the first time we're told the TARDIS is indestructible (though that had been suggested in stories like The Chase - but then why would we need the HADS in The Krotons? ); it's the first story to be shown out of production order, having swapped with The Sea Devils to make the season flow better (though I've always felt that The Claws of Axos/Colony in Space make better continuity when reversed); it's the first story since The Space Pirates to have no location filming (indeed it and Monster are the only Pertwee stories like that) - Barry Letts said on the commentary that this helped finanically with the location-heavier stories in the season; and it's the last time the TARDIS console room appears in this configuration (perhaps the drop down the mountain did more damage than initially thought!). Probably the best 'fluff' to watch out for is Pertwee muffling his lines under the TARDIS console as a picture of a naked lady comes into his eyeline (*not* Katy Manning!). 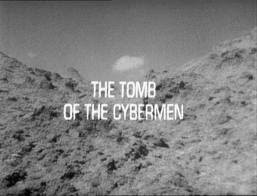 In conclusion, a fun story with lots of intrigue, good acting and great sets, plenty of monsters (the biggest gathering of races since The Daleks' Master Plan! ); being a four-parter, there's also little of the sluggishness that can occur in the longer stories of this era). 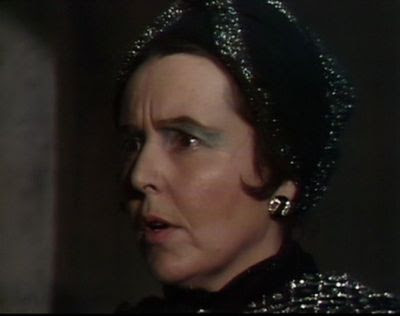 I'll leave you with this thought: how must poor Peladon have felt, having lost both of his father-figures in the space of a couple of days - one initiated by the other and both by his mythical Royal beast - and then having a beautiful woman first turn down his marriage proposal and then turn out to be an imposter!